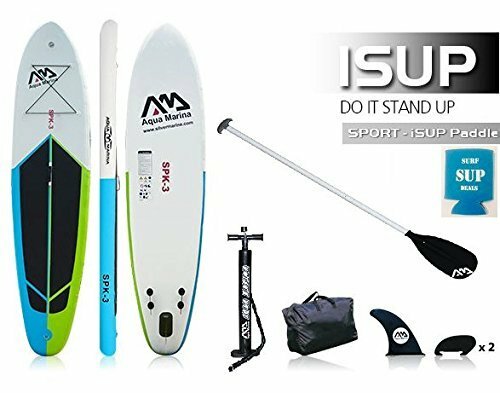 This easily adjustable SUP paddle from Own the Wave delivers a sturdy but lightweight alloy shaft, a nylon composite blade, and a super comfortable ergonomically designed handle – at a brilliant price. It easily adjusts from 1800mm – 2130mm (71″-83″) to suit almost all paddlers – and also separates into two pieces with the longest being 1675mm (66 inches) to make travelling with this paddle quick and easy (excellent for going in the back of vehicles). Buy one with complete confidence as these paddles have been developed and thoroughly trialled and tested by Own the Wave, and are stored and shipped (quickly and reliably) to you by Amazon in the US. Own the Wave paddles have a ‘no questions’ guarantee – if you are not 100% satisfied with your purchase in every way – it will be replaced or you’ll be refunded – you choose. This is a great all round paddle that is very durable and strong but suitable for most paddlers as it is light at 2.2 pounds – and it is 100% GUARANTEED to float in both salt and fresh water – ALWAYS. This easily adjustable SUP paddle from Own the Wave delivers a sturdy but lightweight alloy shaft, a nylon composite blade, and a super comfortable ergonomically designed handle – at a brilliant price. 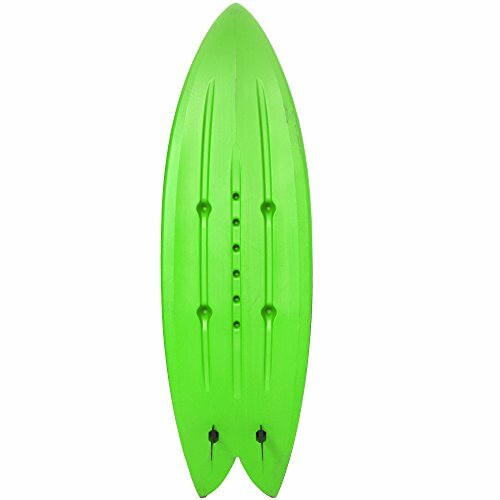 Each paddle also gets a FREE Own the Wave Blade cover (with a manufacturers recommended retail price of $26.99) to protect your paddle blade from damage when travelling – or getting to or from the water. It easily adjusts by popping out the paddle clip (check the photo) from 1800mm – 2130mm (71″-83″) to suit almost all paddlers – and also seperates into two pieces with the longest being 1675mm (66 inches) to make travelling with this paddle quick and easy (excellent for going in the back of vehicles). Buy one with complete confidence as these paddles have been developed and thoroughly trialled and tested by Own the Wave, and are stored and shipped (quickly and reliably) to you by Amazon in the US. Own the Wave paddles have a ‘no questions’ guarantee – if you are not 100% satisfied with your purchase in every way – it will be replaced or you’ll be refunded – you choose. This is a great all round paddle that is very durable and strong but suitable for most paddlers as it is light at 2.2 pounds – and it is 100% GUARANTEED to float in both salt and fresh water – ALWAYS. Thank you for looking at a product from our store – SURFandSNOW. We are a small family business that ONLY sells what we know and love – water sports gear. We know our products, use our products, and stand behind them 100% – So if you have any questions about using any of our products please just ask. Thank you.